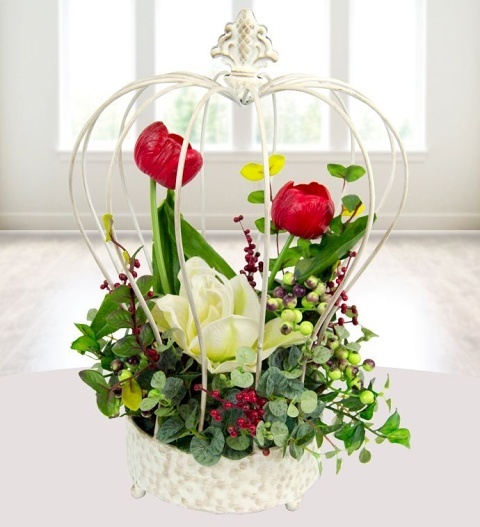 This gorgeous Crown cage with Amaryllis and Tulip silk flowers is a delightful gift with worth remembering! Each one is handmade to the highest standards; these silk flowers look like the real thing, only they don&apos;t need water, just admiration. Perfect for the home and for all occasions, this majestic gift is available for UK next day delivery.